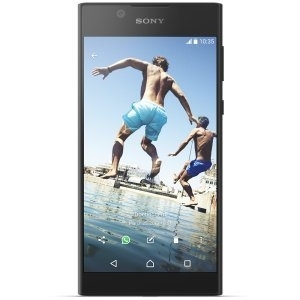 An Xperia smartphone that performs as good as it looks Best-in-class camera in an elegant, borderless design. Xperia L1 has understated premium looks – a large 5.5” HD display for an immersive and compelling viewing experience, whether enjoying content at home or on the move. 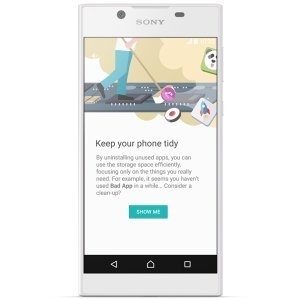 Xperia L1 is not just a pleasure to behold. With its smooth, rounded frame, it fits and feels great in your hand. Combine a quad core processor with 2GB RAM, and you have the speed and power you need. No lag. No hassle. Just smooth performance. Order your Xperia L1 online at Electronic Soko and have it delivered straight to your doorstep. Xperia L1’s high-quality 13MP main camera features a fast autofocus to quickly capture sharp photos and a 3X clear image zoom to hone in on your subject from afar. The MediaTek MT6737T delivers 15% better performance, 25% more efficient overall battery use, and 52% better battery efficiency during sleep mode when compared to its predecessor. Xperia L1 has a curved back panel for a comfortable fit in your hands. Ideal for communications and entertainment.